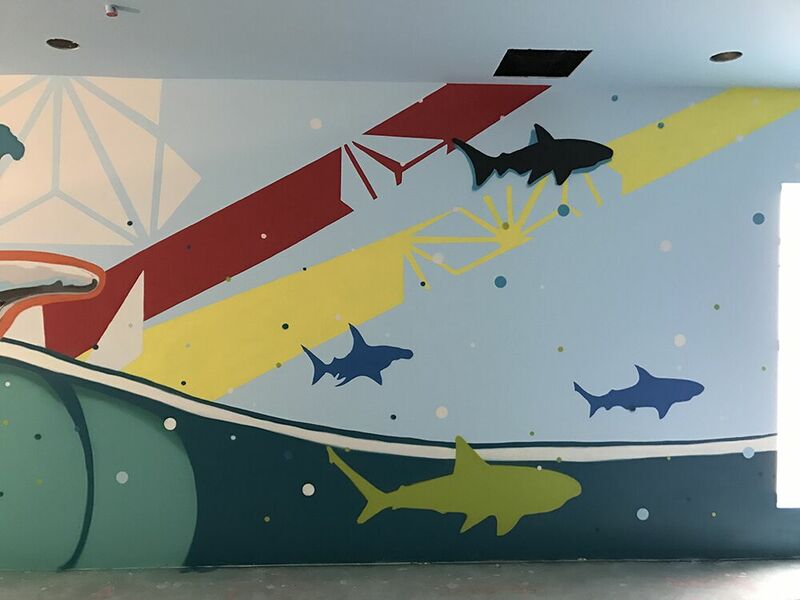 JRK Properties brought me on board to come to their property, Serenade at River Park in Oxnard, CA to create a fun shark mural for their private bowling lanes within the rec room on the property. It's only for the residence to use - but I wish I could bowl there. This turned out really cool!